The U.S. Energy Information Administration (EIA) provides weekly estimates on propane exports, but the official export number lags by three months. Currently, official data is only available through October 2018, but it still provides insight into the bearish pricing environment encompassing propane. 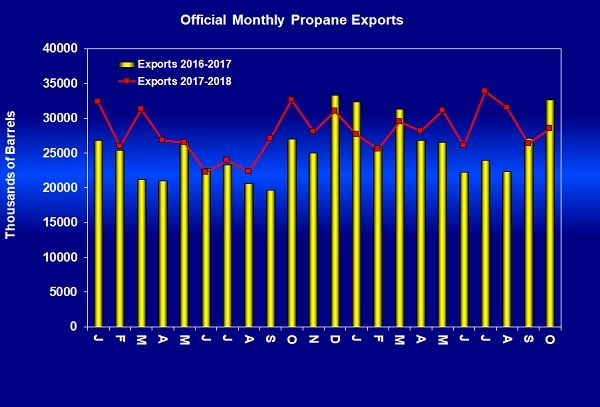 The official data reveals the slowdown in exports that has caused some softness in propane prices this winter started in September and October of last year, when export volumes fell below the previous year. 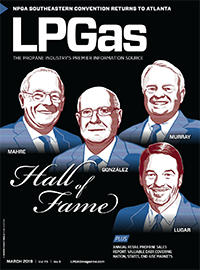 This came at a time when propane production was ramping up and more supply needed a home. Until last winter, monthly propane exports were generally running higher than the same month the previous year. Last winter revealed some elasticity in demand for U.S. propane exports, as rates from December 2017 to March 2018 fell below the same period in 2016-17. Exports from April-August 2018 were stronger than the same period in 2017, which helped support propane prices during the summer, but the falloff in exports this winter had the opposite effect. 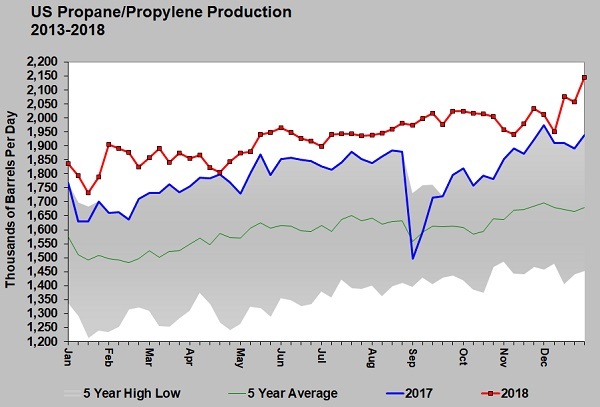 Strikingly, despite much higher U.S. propane production over the last year, propane exports appear to top out between 32 and 34 million barrels per month. We are not sure if that is caused by a lack of global demand, or if it is a logistical limitation. Export capacity will increase with Enterprise Products Partners’ expansion at the end of the year. 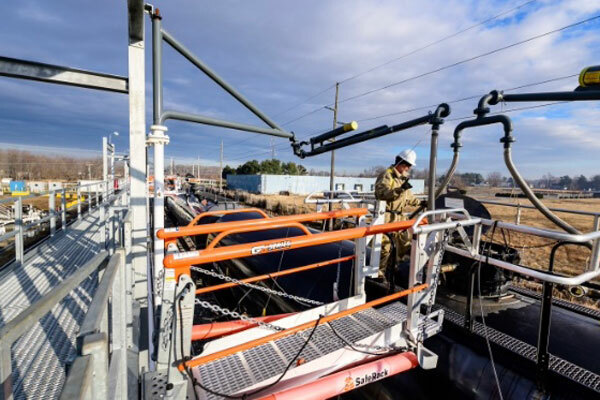 There also could be an uptick in exports from Marcus Hook, Pennsylvania, on the East Coast if the now-operational Mariner East 2 pipeline improves export economics from that facility. 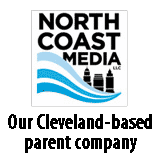 The Mariner East 2 has a capacity of 275,000 barrels, although, at this point, it is operating under restrictions that will keep it from full capacity. It carries both propane and butane from the Marcellus and Utica shale plays. The top propane export rate came in July at 33.883 million barrels. We will have to see if increased East Coast export efficiency, or the Gulf Coast export expansion, will result in that high being eclipsed. If not, it could be a sign that U.S. propane exports have reached a saturation point. Currently, industry data shows exports are on track to reach 34.651 million barrels this month, but the official data from the EIA does not always line up with industry data. The weekly estimates by the EIA have not supported expectations for 34.651 million barrels of exports in January. The year-over-year increase in U.S. propane exports has been slowing. The growth in exports appears to have peaked in 2015, with growth slowing each year since then. Through October, exports in 2018 are just 17.312 million barrels ahead of the same 10 months in 2017. Export estimates for November and December 2018 are about 5 million barrels more than the same months in 2017. We can estimate 2018 propane exports will be about 22 million barrels more than in 2017. Meanwhile, U.S. propane/propylene supply increased 50.615 million barrels between those two years. By our calculations, only about 3 million barrels of that growth was propylene. Last year, propane supply growth exceeded propane export demand by about 25 million barrels, which provides an essential headwind for propane prices. 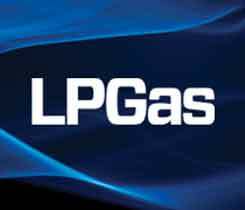 Going forward, the key question for propane pricing is if the imbalance will continue. 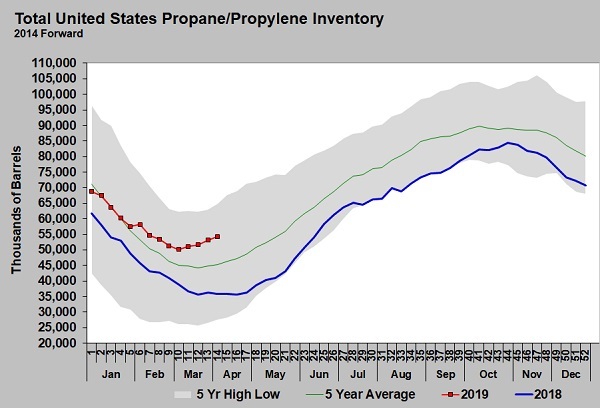 If it does, we should expect growth in U.S. propane inventory that will limit the upside for propane prices. However, if supply falls off and/or export rates improve, the recent weakness seen in propane prices could begin to evaporate. That will be the key dynamic to monitor for guidance in 2019 buying decisions.